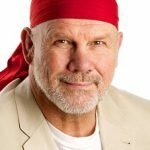 Scenic has announced author and historian Peter FitzSimons will return to the Seine on 27 June 2018. Following the success of his inaugural cruise in 2017, Peter will host a river cruise on board Scenic Gem, sharing his extensive knowledge of the war history of northern France during his time on board. The Seine river cruise includes visits to some of the country’s most renowned war history sites – the Somme Battlefields, Villers-Bretonneux and the Normandy beaches, site of the D-Day landings. 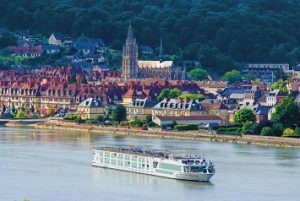 During the cruise, guests will participate in two included excursions to the Somme Battlefields, alongside an array of Scenic Freechoice activities in ports such as Les Andelys, Honfleur, Caudebec-en-Caux, Vernon and Conflans. The Somme excursions take place on the 102nd anniversary of the battle’s commencement. The first half day tour includes a visit to the Australian National Memorial and the Franco-Australian Museum, while a full day excursion the following day begins with a visit to Le Hamel and the Peronne Museum before lunch in a local restaurant. That afternoon, guests will stop at the Newfoundland memorial, where they can walk through a number of preserved trench lines used by soldiers during World War I, as well as Lochangar crater, and witness the sheer scale of the destruction caused by war. Guests will also enjoy two of Scenic’s signature offerings, a Scenic Sundowners cocktail event at Manoir d’Appreval and a once-in-a-lifetime Scenic Enrich experience at the impressive Château de La Roche-Guyon. Fares on the cruise are priced from $7,895 per person* including return flights to France.